The highest ranked woman polo player in the United States, Sunny Hale pursued a career in “the sport of kings” which was and still is greatly dominated by men. Hale began competing at age four, entered her first polo tournament at ten, was teaching polo at twelve, and was first hired as a professional player at nineteen. Hale played all over the world including Jamaica, France, Switzerland, Argentina, Mexico, Canada, Singapore, and England; she was the first woman in 100-year USPA history to win the US Open Polo Championship; and she was named seven times as the Woman Player of the Year by the Polo Excellence Awards. Honoring the legacy of her mother, Sue Sally Hale, who dressed as a man to become the first woman to play in a USPA sanctioned tournament, Sunny founded in 2005 the Women’s Championship Tournament series that unites women in polo with the universal goal of improving women’s polo across the U.S. and around the world. 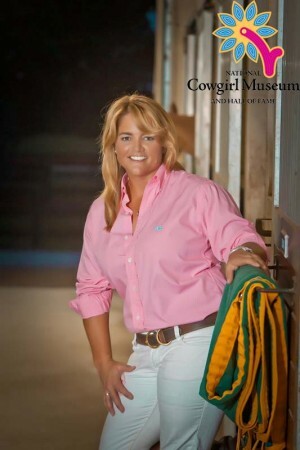 A greatly admired equestrienne who trained all of her own horses, Sunny exemplified her love of horses by founding in 2006 the American Polo Horse Association whose mission is to collect, record, and preserve pedigrees of polo horses in the U.S.